Metsland is pretty depressing place right now. Fans are not looking forward to 2018. After a few years of optimism, we have reverted back to masochism. Is it possible that the Mets might shock us? If a few things fall into place, maybe the Mets could stun the baseball world. 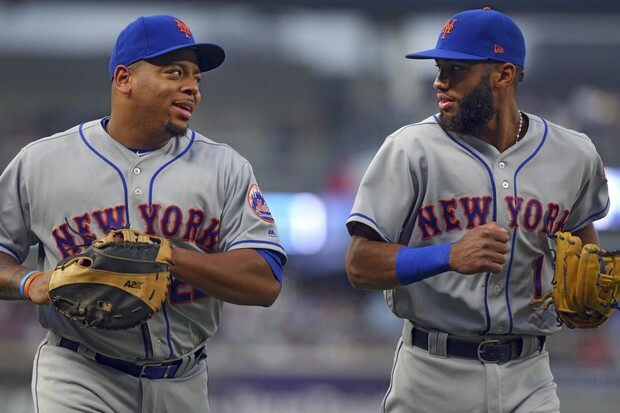 Even if the Mets make no more offseason moves, they could possibly be the Cinderella team. After all, every season has its share of surprises. Last year the Twins went to the playoffs after losing 103 games in 2016. The Diamondbacks lost 93 in 2016 and followed by winning 93 in 2017. Every team has its ups and downs. With the current playoff format in which each league has two wild card teams, anything is possible. For the Mets to have a good season, several things need to go right. To start, the Mets need to be healthy. There is no way around this one. Fans got a crash course in anatomy. The 2017 Mets injuries were of epic proportions. Thor refused the MRI. Harvey hasn’t been healthy since game 5 of the World Series. Familia had a serious blood clot after his suspension. Lugo and Nimmo got injured during the WBC. Cesp couldn’t keep his hammy healthy. Flores and Lagares each had a couple of trips to the DL. Conforto and TJ had such bad injuries they may not be ready for opening day… and the list goes on and on. One can only wonder what the 2017 Mets would have done if they had stayed healthy. The Mets have fired head trainer Ray Ramirez and players have discussed taking their training more seriously this offseason. Juan Lagares has changed his swing and hopes it can keep him healthier. If the pitching staff can stay healthy enough this season, that would be a huge improvement. It is reasonable to say that if the Mets can stay healthy they should at least be a .500 team. The other big advantage the Mets have is a weak division. While the Nationals are clearly the favorites to win the NL East, the rest of the division is mediocre. The Marlins are in a fire sale of Marlinian proportion. They do this about once a decade. The Braves and Phillies have potential but their rotation depth must shape up before being taken seriously. By the time March comes around, it is fair to assume that the Mets will be predicted to be the second place team in this division by most experts. As of now, the Mets have a lot of youngsters who will be expected to step up. Rosario and Smith are the ones on everyone’s mind. However, Nimmo and Plawecki are guys who were high draft picks who had some decent numbers in 2017. They had an OBP of .379 and .364 respectively, which is very solid. If they Mets can maximize the potential of these sleepers, they can make things a lot of fun and be the team breakout players of the year. Always smiling, Brandon Nimmo could be a pleasant surprise in 2018. It looks like this will be the year many have waited for. Wilmer Flores, will finally get his shot as an everyday player. He is currently the Mets second baseman. While he has been justifiably criticized for very poor defense, it should be pointed out that it is almost always for his play at third. At second, his defensive stats are better. He is no gold glover but he is tolerable. If Rosario’s defense at short is as good as advertised, it can make up for Wilmer’s lack of rabge. In 2017, Wilmer showed he can hit righties well and had an OPS of .765 against them. Give him a full season and he could be a 20-25 homer guy. Most projections have Thor and deGrom pitching well in 2018. The rest of the rotation is a big question mark. Wheeler, Matz, Lugo and Gsellman all have shown that they have star potential. All have shown that they can find the DL on a map. All of them will be fighting for a spot in the Mets rotation. We can only hope that at any given time at least two will be healthy and effective pitchers. Harvey is of course the biggest mystery. He has gone from being the Dark Knight of Gotham to Hurricane Harvey. The past two years have been a nightmare. There is one thing to remember. Harvey wants a big payday after this season. If he can return even close to his old self, he could get that. Many have questioned how motivated Harvey still is. Perhaps a nine figure paycheck could inspire him to shape up. The Dark Knight Returns- What does the future hold for Matt Harvey? The rotation is still potentially great. With some health and luck, they can be fantastic. Additionally, the bullpen seems to be very deep. With Familia, Ramos, Swarzak and Blevins the Mets have four really solid guys. If Robles can bounce back, the bullpen could be lights out. Toss in pitchers like Smoker and Sewald who have could be back end of the pen guys and the talent is there. Never forget that in October the team with better relief pitching usually wins in any given series. For the Mets to make the playoffs in 2018 will require a lot to fall in line. The website fangraphs.com projects the Mets to win 80 games and miss the playoffs by only 4 games. Who knows? Maybe this season the Mets will surprise us.